How do Midland drivers know if an odometer is telling the truth? 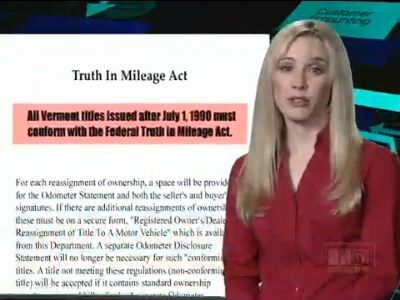 Well, back in '86, Congress passed the Truth-in-Mileage Act to protect Texas consumers against mileage fraud. It says a Texas seller must certify the mileage reported is the actual mileage. If the seller tells you the mileage isn't accurate, there's not much chance of putting a good number to it. And there's the unscrupulous seller who claims the reading is true, but it isn't. What can Midland vehicle owners do? 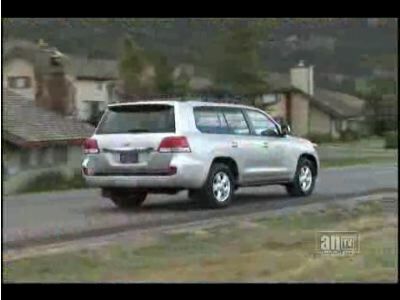 You can go to www.CarFax.com, where, for a small fee, they'll give you a comprehensive vehicle history search on your vehicle, showing local Midland, Texas, ownership history, accident reports, total-loss events, manufacturer buybacks, Lemon reports and warranty status. You can get a mileage history by checking with the local Texas DMV (or wherever you happen to be) and other verified sources looking for inconsistencies in the mileage reported when the car was bought and sold. If there are signs of odometer rollback, now you'll know. So you've bought a used vehicle in the Midland area. Do you know what you're getting? It is hard to know what you're getting because people in the Midland area sell vehicles for different reasons. Think about why you've sold vehicles. Did you just want something new or were there problems that you wanted to run away from? Maybe it was a little of both. Used vehicles in Texas with 25,000 to 35,000 miles/40,000 to 55,000 km on them are often lease returns, corporate program cars or rental fleet vehicles. Most Midland buyers feel pretty confident about these because they're newer and may still be under warranty. But how well have they been maintained? Midland drivers who are planning to own a vehicle for a long time will keep up on auto maintenance so that they can avoid repairs down the road. But, if you know you're only going to have the vehicle for two or three years, you may not be so committed to maintenance. It would be easy to think that skipping an oil change here and there wouldn't ruin a brand new engine. Then it'll be someone else's problem when it comes time to pay for the damage. It is very tempting for Midland drivers to skip the 30,000 mile/50,000 km service if they know they'll be turning in their leased vehicle in a couple of months. If the vehicle didn't come with maintenance records, Midland used vehicle buyers need to assume the worst. Most likely the coolant system and transmission have never been serviced. The cabin air filter has probably not been changed and a fuel system cleaning at West Texas Automotive may be in order. You'll want West Texas Automotive to check the A/C, battery, engine air filter, serpentine belt and hoses. A used vehicle inspection at West Texas Automotive is well worth the cost. And if your “new” used vehicle has been driven an even longer distance, an inspection is even more important. Check your owner's manual or talk with your service advisor at West Texas Automotive about what should have been done. Please don't forget the timing belt; that can be very expensive if it fails. West Texas Automotive will help you with a plan to take care of services and get the rest caught up. If your budget won't allow you to take care of everything right away, we can help you prioritize your needs and get it taken care of over the next several months. And remember to keep your maintenance records. They'll help you get top dollar on the Texas used vehicle market when it's time for you to sell.